The Lorain County business community will welcome all New Teacher’s hired in our local Lorain County Schools on August 10, 2018 at Spitzer Conference Center. 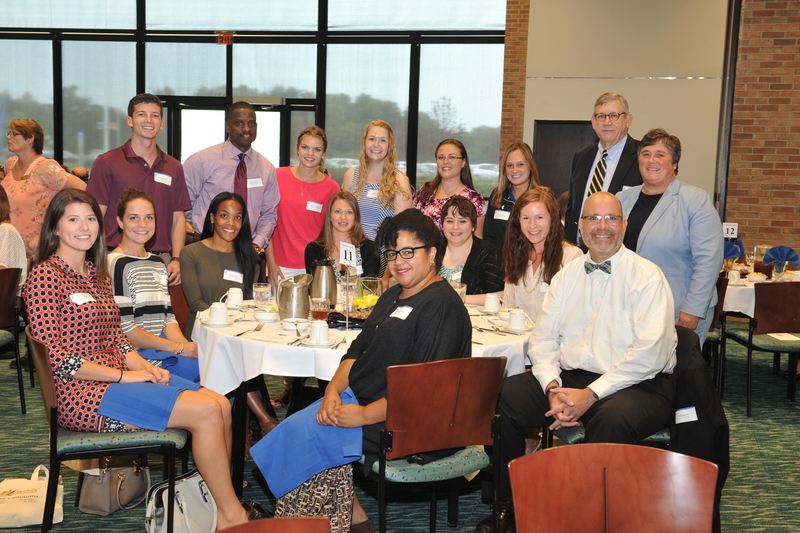 This annual luncheon is put on each year by the Lorain County Chamber of Commerce and allows our members to welcome the new teacher’s by sponsoring their lunches. We are honored to be the organization that presents our new teachers an opportunity to see that they are very much a part of Lorain County and show them what the County Chamber works toward ~ that through a healthy business economy, our community thrives, our schools thrive and our students, the future of our community, thrive. For over 25 years, the County Chamber has welcomed our new teachers, plus principals and superintendents and our business members with an average of 200 total in attendance. Each year we have a program of speakers that the teachers will find informative and helpful for their new position. In addition, each new teacher is provided with a goody bag of items from our local businesses that have sponsored their lunches and it is filled with information and items from Lorain County. It’s a great way for the new hires that may be unfamiliar with our local businesses to get an idea of what businesses and organizations are in and around Lorain County. We are grateful to have this event continue to thrive through the generosity of our Chamber members. Congratulations to all the newly hired teacher’s and we wish you a great and productive school year. © Lorain County Chamber of Commerce, inc. All rights reserved.